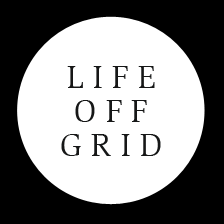 A book by Phillip Vannini and Jonathan Taggart, Off the Grid, is the single best source of anecdotal analysis on this energy subject I’ve seen in 40 years. Published under Routledge’s Innovative Ethnographies series, backed by an outstanding website, www.lifeoffgrid.ca, and a striking documentary film, this book goes where most academics fear to tread — into the field, beyond safe boundaries of lab or lecture hall, where people live in real buildings, coast to coast to coast, and are not connected to any grid, electrical or other. CBC’s Nature of Things ought to have told this story, but instead used taxpayers’ money to send David Suzuki to interview American experts on renewable energy, to visit Japan and Europe, and to talk to one Canadian university professor who had no personal experience with the technology. Not a single Canadian off-grid pioneer was profiled. There were at least a hundred at the time. I was one of them. Vannini and Taggart set out to find as many as they could, driving long distances in terrible weather, landing on snow-covered lakes on planes with skis, marching rough trails into Yukon wilderness, visiting hardy Inuit in tiny insulated shanties, dragging photography equipment and sound recording gear into dangerous environments in forested backcountry, and one day, on this coast, kayaking in calm sunny weather to a Nova Scotia island. Tim Cresswell of Northeastern University describes the book as “sensitive, creative ethnographic research for students, practitioners, and the public at large.” The authors do provide great service to isolated off-grid citizens by setting them in a larger community of like-minded pioneers and teaching how each effort can be explained in the context of ethnographic cultural analysis. This shared learning, generously given to others, means all off-gridders profiled learn from each other’s successes and failures. Shared research is critical to improving design and operation of off-grid technical systems, including buildings. Honesty about system failure, and how problems were overcome through innovation, is a fundamental principle of engineering design. Many advocates of conservation and renewable energy bemoan the tendency of city residents to ignore environmental damage caused by distant power generation. Like the dream state described in the Matrix, a Hollywood movie that brings the notion of “The Grid” to a frightening level, imagine humans dreaming their existence away while plugged into a controlling grid that taps our bodies’ energy in return for a life oblivious to reality. The movie’s off-grid “heroes,” of course, have escaped this delusional existence and see the world is terribly polluted and nearly destroyed by those who control the Matrix. They work tirelessly to save humanity, preferring independence and self-reliance to dream-filled slavery. It is an interesting analogy, since most city dwellers do not know where food or power comes from, what it costs to generate, cannot read an electric meter, and are blissfully unaware that if you put a dome over the city, it will die in three days. Why? Because energy, food and water all come from somewhere else. Urban rooftop greenhouses have been proposed for 40 years, water-saving technology to recycle grey water for flushing toilets and washing cars, solar systems for urban roofs, have barely scratched the surface. Yet people still complain when power fails in storms, when water treatment and sewage rates go up, and kick out governments that let power rates rise. Sounds like a dream to off-gridders. We provide these services ourselves, at our own cost, and using our own hands. We have forgotten, in the middle of this urban dream, that grids have barely existed for a century. All our climate change problems from pollution and overconsumption began at the same time. Coincidence? Read this excellent book and decide for yourself.